The Tipper Restaurant and Review Room continues their Saturday Concert Series November 2nd. On deck this Saturday are Dark Willow and Tom Rawson. 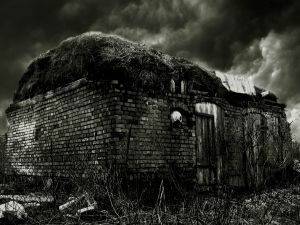 Dark Willow is the duo Ellen van der Hoeven and David Donaldson with traditional Canadian and British Isles music on penny whistle and guitar. You can expect some good toe-tapping fun. Joining them this Saturday is Tom Rawson who I hear has a talent for inspiring people to come together with his disarming manner and generous heart. Don’t be surprised if you find yourself in a house full of people united in song. Music begins at 8:00 p.m., but doors open at 7:15 p.m. Reservations are not available, so either come early for dinner and grab your seat, or come and have a drink while you watch the show. Cost of show is $10 at the door. The Tipper Restaurant and Review Room is located at 2066 Kingsway at Victoria Drive. Vancity Credit Union is seeking applications from artists or teams of artists to redesign the Vancity Branch on Commercial Drive. One part of the redesign involves asking local artists to submit applications with images of available, completed artwork and expressions of interest in creating a commissioned artwork for the branch that reflects the community if services. If you are interested in attending either of these sessions, you are asked to RSVP by email to: Anna_Lambert@vancity.com. For submission guidelines and further information about the call to artists, visit Vancity’s website. You can also contact Tanya Slingsby, Artists Facilitator, at Vancity Credit Union by email at Tanya_Slingsby@vancity.com or by phone at T: 1 778-889-4240. Yogurt Theatre Co. presents “The Woman in Black” at Little Mountain Gallery starting this Thursday, October 31st. This production is the second by this young theatre company which was founded in December 2012 by artistic director Chris Cochrane. The play is about Arthur Kipps, a retired lawyer, who enlists the help of a young actor to tell the story of what happened to him when he was sent to the late Mrs. Drablow’s creaky old estate in Eel Marsh. The cold air, thick fog and Mrs. Drablow’s old mansion set the stage for a series of events that will change Arthur’s life forever. This is a terrifying ghost play adapted by Stephen Mallatratt from the book by Susan Hill. The Woman in Black has been running in London’s West End since 1988 and has been performed all around the world. This is not a bloody or gruesome story, but one that crawls up your spine and whispers in your ear. How befitting the opening night is this Halloween. The production runs till November 16th at Little Mountain Gallery, 195 East 26th Avenue with shows at 8:00 pm. Tickets are $20 and available at BrownPaperTickets. Here are a few teasers from London as to what you can expect at the Woman in Black. Tags: Brown Paper Tickets, East Vancouver, Little Mountain Gallery, Susan Hill, The Woman In Black, Yogurt Theatre Co.
South Hill Neighbours invite you to All Souls Night this Saturday, October 26th. This event was created to provide opportunities for the public to commemorate their dead with a family-oriented community art event. Artists and community will be coming together to create a sanctuary for remembrance and reflection. They will be meeting at MacDonald Park located at 44th Avenue and Prince Edward at 6:30 pm. Everyone will walk together to the Mountain View Cemetery. You are encouraged to bring a lantern which you can hang in the South Hill Neighbours Tree. If the night is dry, musicians will accompany the procession from MacDonald Park to Mountain View Cemetery. The event is curated by artists Paula Jardine and Marina Szijarto. Musicians, singers, visual and digital artists will join together to create a setting that invites everyone to remember those we’ve lost and find beautiful ways to mark their passing and the emotions of parting. Candles, Swedish fire logs, bonfires in carved oil barrels, prayer flags and homemade memorials all make this a magical evening. The event takes place rain, shine and in this week’s case, fog. HALLOWEEN COSTUME BALL, Telus World of Sciences, 1455 Quebec Street. Party in the iconic sphere features two rooms of music on two floors and eight DJs. October 26th, tickets $45 – $55 and available at Twisted.ca. MONSTER MASH COSTUME BASH III, Wise Hall, 1882 Adanac Street. Music by Radio Clash (Clash cover band featuring Rich Hope & Billy Bones from VCMC), the James T Kirks and the Strugglers. October 26th, tickets $15 and available at BrownPaperTickets.com. FRIGHT NIGHTS, Playland, 2901 E. Hastings St. Six haunted houses, 12 rides and a freaky sideshow, The Monsters of Schlock. On now until November 2nd (enter E. Hastings & Windermere), tickets $22 – 35 and available at FrightNights.ca. DOOMS NIGHT & TIESTO, Pacific Coliseum. Solid Events present its annual Halloween Massive with a 2 day extravaganza featuring an all-night and concert experience headlined by Tiesto. October 26th and 27th Tickets available at TicketLeader.ca. NO MEMES NO, Hot Art Wet City, 2206 Main Street. Halloween party and group art show inspired by the internet. Guests are asked to dress up as their favourite meme. October 31st, tickets $5 – 10 and available at Eventbrite.ca. 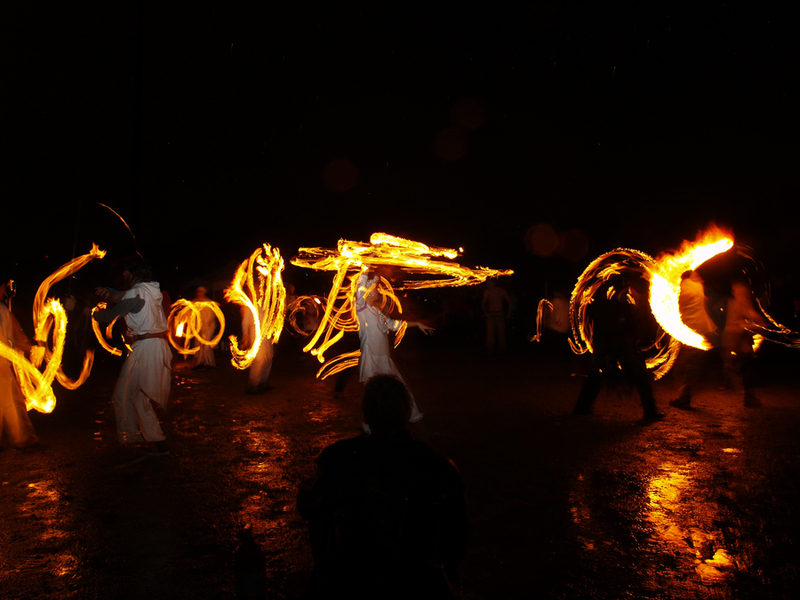 PARADE OF LOST SOULS, A beloved East Van event, location announced at midnight October 26th. Expect a parade of wild costumes, giant puppets, live music and performance art created by local community members. Follow Public Dreams Society on their website, Twitter or Facebook for the latest details. October 26th 6:30 – 9:30 pm. Free. FEDERICO’S SUPPER CLUB, 1728 Commercial Drive. Encore 80’s Night Halloween Party with Mark Olexson and the A-Deez. October 31st. Two course meal for $40 (includes dinner, show fee concert & dancing) or $50 (includes 3 course meal, show fee concert & dancing). To make your reservation T: 604-251-3473. 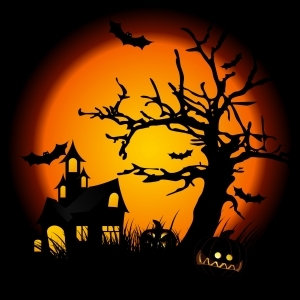 Sunset Community Centre: Haunted House & Carnival (5+) – October 25th 6:30 – 9:00 pm. The Sunset youth volunteers are organizing a free family event for 5 years & up. Haunted House, carnival games, trick or treating & concessions. Trick Or Treat in the East Village: October 26th Sat. Noon – 3 pm. Come dressed in your Halloween finest and trick or treat your way along the stretch from 2100 to 2800 East Hastings Street. Trout Lake Community Centre: Halloween Party – October 27th 10:00 am – 1:00 pm. Come jump in the bouncy castle, play Halloween games and make some pumpkin crafts. Registration required for this event which will take place in the gym. Cost is $4 per child and suitable for ages 3 and up. River District Halloween Party: Princess, Pirates & Magical Creatures Party – October 27th 1:00 – 3:00 pm. River District is celebrating Halloween with a magical creatures, princess and pirate-themed party. Create tricked-out treat bags and crafts. Come dressed-up in costume and win some goodies from the treasure chest. Killarney Community Centre: Halloween Carnival October 27th,, suitable for ages 3 – 12. Note: Pre-registration required for many of the community centre events. Knit Social is back for a second year at the Croatian Cultural Centre, 3250 Commercial Drive. If you love to knit, purl one, purl two this event is for you. There will be a lots of great workshops, demos, tips, tricks and much more. The list of vendors participating in this weekend’s event is quite extensive, but include Baaad Anna’s, Astor Tsang, Drama Llama, The Red Fox and Gown, Sanjo Silk, Vegan Yarn, The Wacky Windmill and Yarn Makes Me Happy. For a full rundown of all the vendors on site for the show, visit Knit Social’s website. If you get hungry, food trucks will be at the venue for the duration of the show specifically: The Bean Buggy, Varinicey Pakoras and Taser Sandwiches. Knit Social will also be giving away 50 swag bags this weekend, but instead of handing them out at the door, they will be drawing 25 names each day at 1:00 p.m. If your name gets drawn, you win a bag. 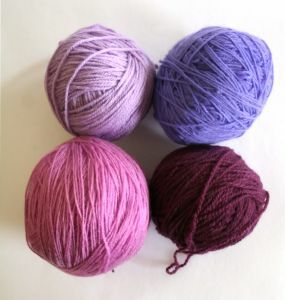 Knit Social takes place Saturday and Sunday from 10:00 a.m. to 5:00 p.m. each day. Admission is $5.00 (cash only) with children 12 and under free. Many will be pleased to hear that this much loved East Van event will carry on. The Public Dreams Society and The Dusty Flowerpot Cabaret will be co-producing this year’s event. Kat Single Dain co-founder of The Dusty Flowerpot Cabaret will be at the helm as the Artistic Producer. 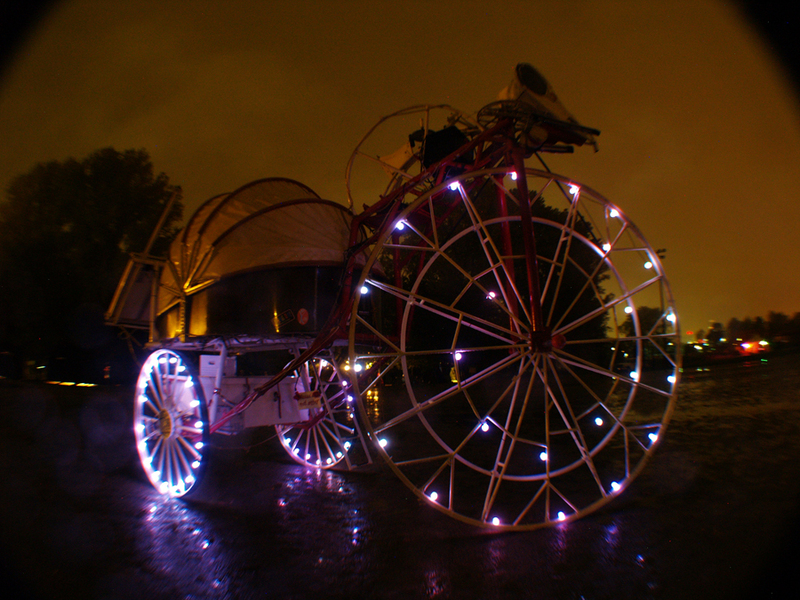 The Parade of Lost Souls is a community-driven parade inspired by Dia de Muertos (The Day of the Dead). In recent years, the parade has travelled around various parts of East Vancouver featuring performance art, interactive art installations and YOU lost souls. This is a transitional year for the parade and as such, this will be a smaller and cozier event. The parade takes place from 6:30 – 9:30 p.m. In keeping with tradition, the parade’s location will be announced at 12:00 a.m. midnight on October 26th on the Public Dreams website as well as Twitter and Facebook. For those that wish to carry on after the parade, The Parade of Lost Souls Dance Party returns to The Hangar, 577 Great Northern Way. The Dusty Flowerpot Cabaret has joined forces with The Work Less party to bring you an event that will “rock the house and wake the dead”. You can expect some mischief, dancing, performers, musical acts including CR Avery, The Tailor, Briden, Manhai, Matty For Life and maybe a few ghosts in the air. The dance party gets under way at 9:00 p.m. and goes till 3:00 a.m. Tickets are available online only starting from $20 with donation options of $5 and $10 to help support this volunteer driven event. Note: tickets will not be available at the door. Come out and celebrate life! UPDATE: Secret location has been announced. 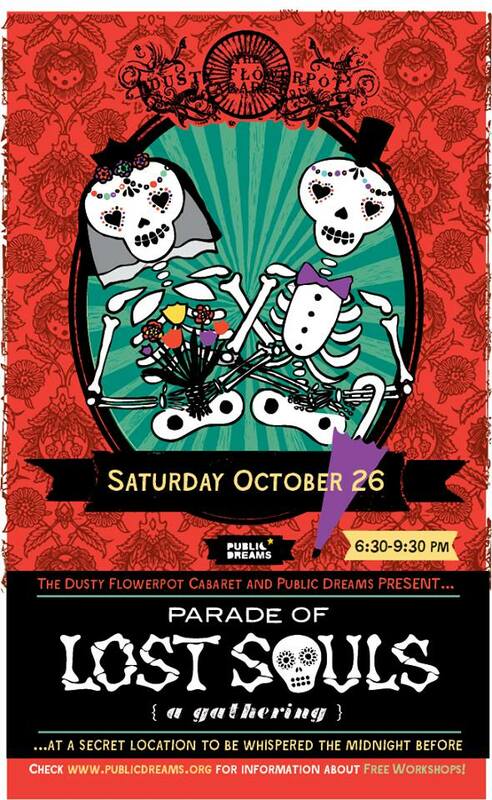 The location of the Parade of Lost Souls will be Brittania School Yard – Football Field, 1001 Cotton Drive.